Anyone familiar with Italian reality TV knows the name Carlo Cracco. The Italian star chef has delivered blistering appraisals of contestants’ dishes on Hell’s Kitchen Italia and MasterChef Italia. And any gastronomist worth their salt is familiar with his Michelin-starred restaurants. 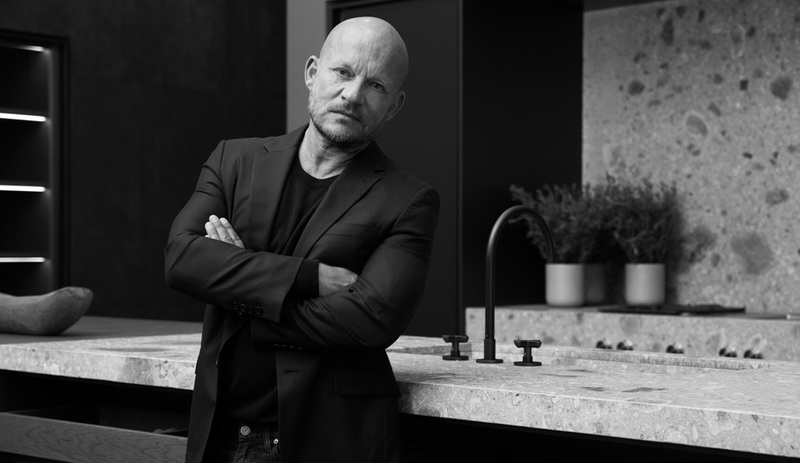 It turns out Cracco also has discerning taste when it comes to kitchen design. 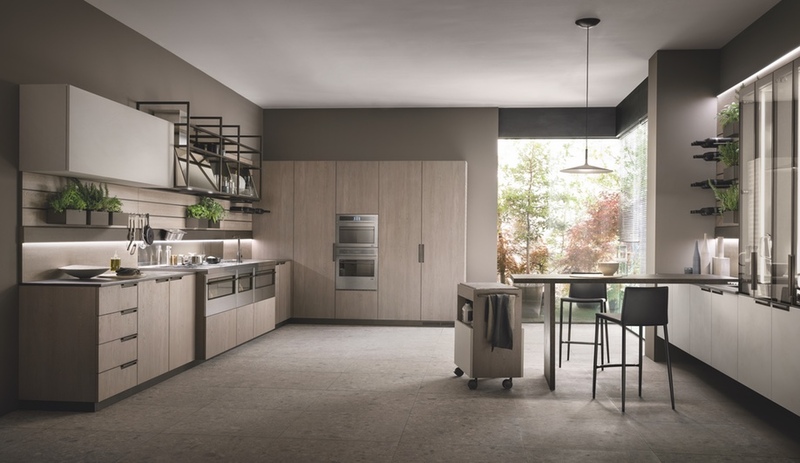 A new system, called Mia by Carlo Cracco, has been released by Scavolini, and it’s all grey-steel shelving and multi-functional cabinetry. 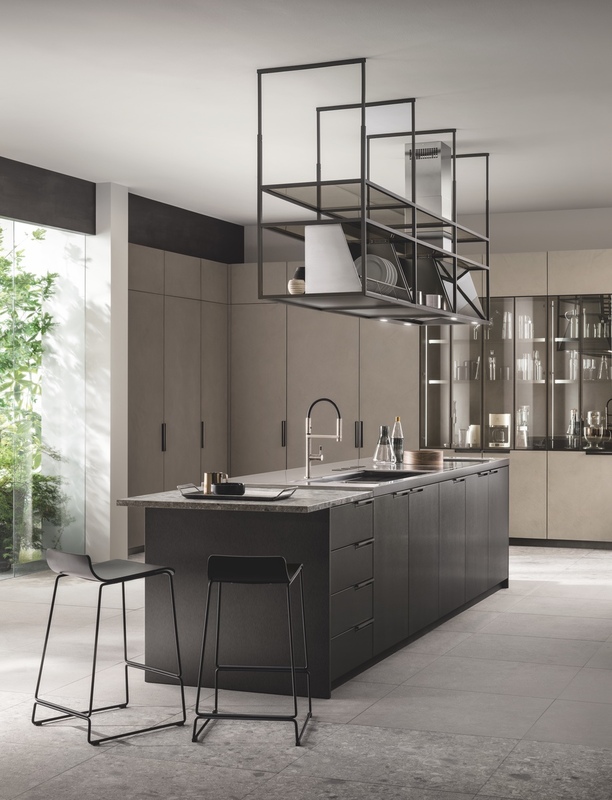 Like Scavolini’s other lines, Mia comes in many configurations. 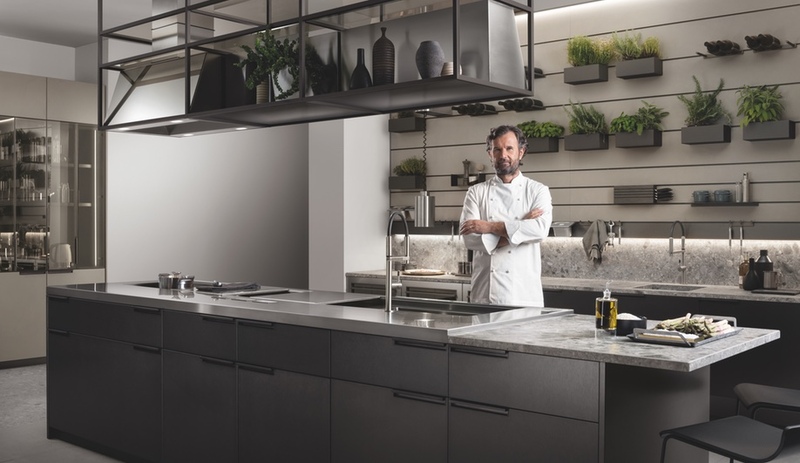 Shown above is a version with a solid central island – a steel mono bloc combining built-in cooking and washing zones – featuring a cantilevered table top; suspended above is a sleek steel framework supporting a dish rack and encasing the range hood for a unified aesthetic. 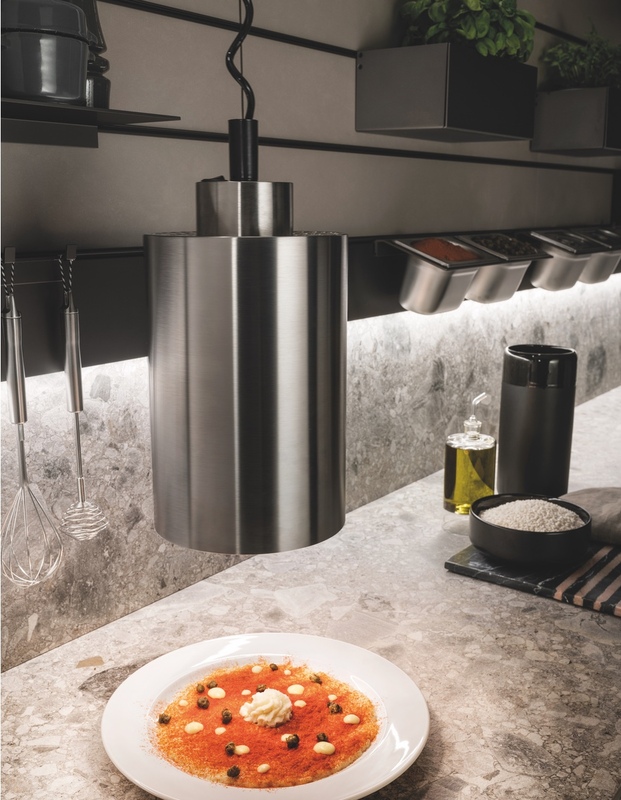 The pantry is hidden behind minimal doors embellished only with 25-centimetre recessed handle grips in metal. 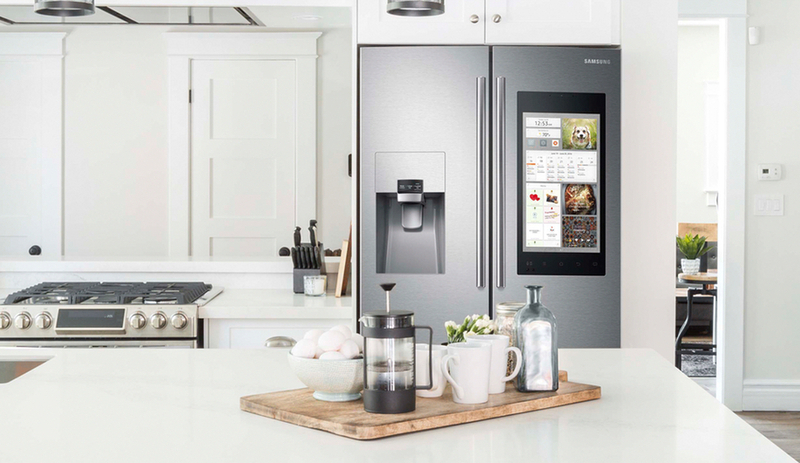 The work areas and appliances have a steel finish. 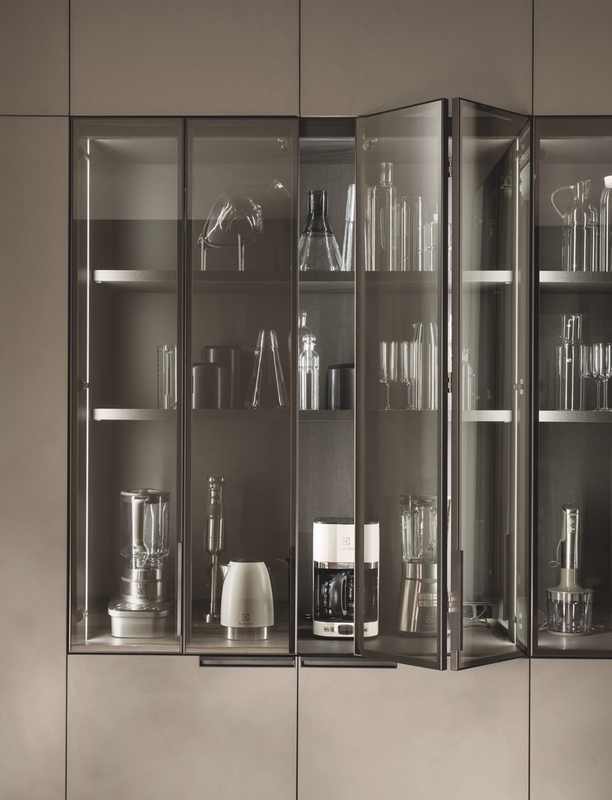 The system has some stunning details, including the folding glass doors that create a gallery-like display for small appliances and glassware. 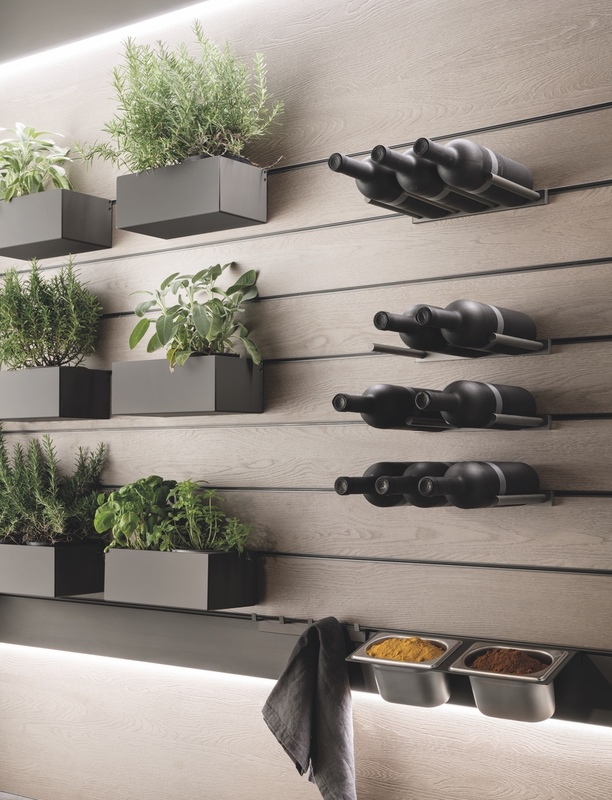 But even more enticing is the system’s shelving system, which can support accessories, like bottle racks, spice containers and herb planters – as well as a dish-warming lamp (below). 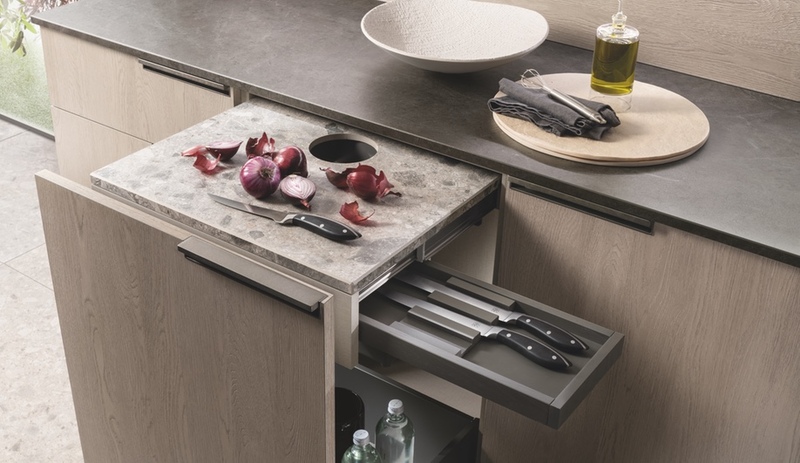 The cabinetry is outfitted with many functions; as shown below, a drawer configuration might include a cutting block and scrap receptacle, as well as a knife tray. There is even a “vacuum drawer with new marinating function,” according to the official press release. 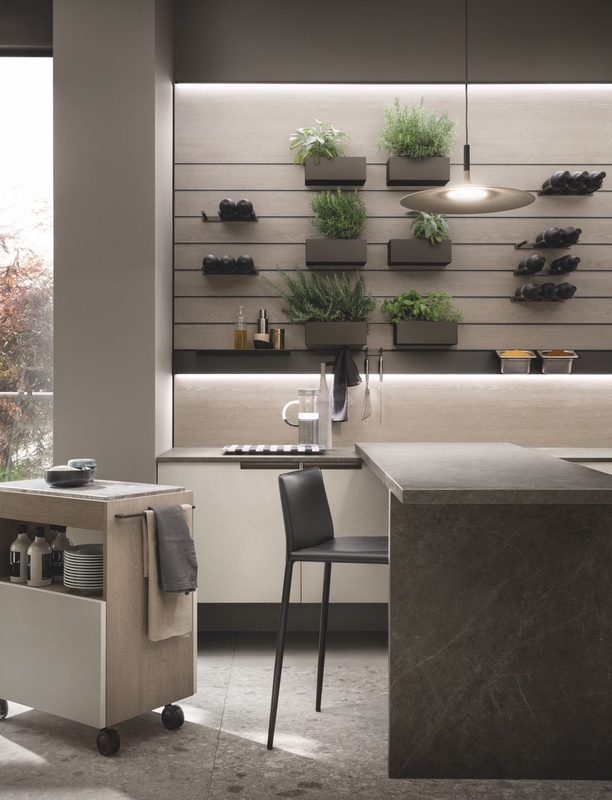 Another configuration of the Mia kitchen (below), features the mono block as a wall-hugging arrangement, with the cabinetry and appliance block, floating on a seven-centimetre plinth. 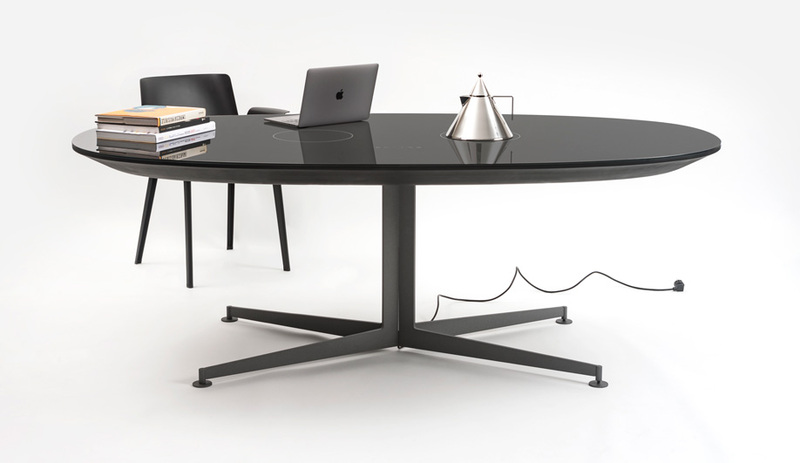 Modular elements like the 80-centimetre-high base unit trolly and ultra-modern cantilevered dining surface can also be specified. 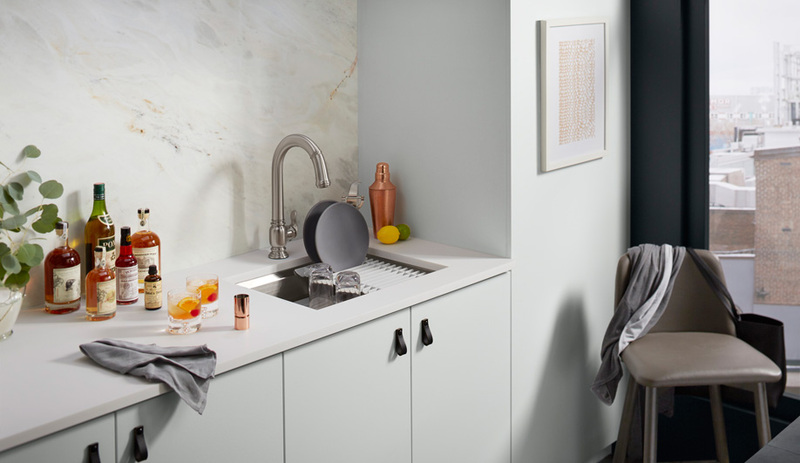 For more Scavolini and other product lines, head to Azuremagazine.com’s Product Guide.